Publisher: Blackie & Son, London & Glasgow, 1956, 2nd print, very large hardcover 8vo with dj, 17 chapters, figures, graphs & illustrations, 1034 pp., Index. Condition:Red cloth-bound hardcover with gilt title to spine, STRAIGHT, TIGHT and CLEAN in GOOD CONDITION with a whited-out name to front endpaper and no other inscriptions, in a clipped,GOOD DUSTJACKET with rubbing & edgewear. 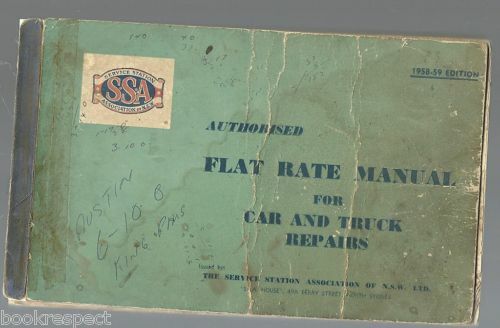 Publisher: Published by The Service Station Association of NSW Ltd 1959, 164 pp., oblong softcover 8vo, 16 chapters, b/w illustrations, list of distributors of vehicles. Condition:Stiff card-bound blue softcover with title to front cover, STRAIGHT, TIGHT and CLEAN in GOOD MINUS CONDITION with the covers loose but intact with notes in pen, with repairs at the spine, interior clean and robust, with age-toning to book pages. 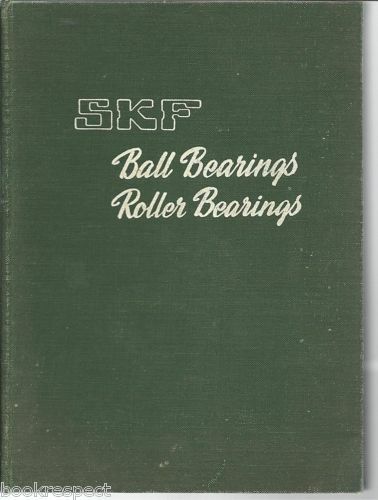 Publisher: SKF, Melbourne, 1948, 294pp., hardcover 4to without dj, 8 chapters, technical illustrations, black and white production photos, diagrams, Index. Condition:Rubbed green cloth-bound hardcover with title to spine and frontcover (see scan), STRAIGHT, TIGHT and CLEAN in GOOD CONDITION with no inscriptions and clean internals - rubbed cover and pp. edges. 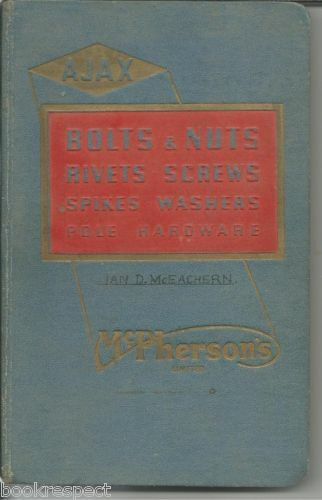 Publisher: McPhersons, Melbourne, 1955, 166pp., hardcover 8vo, tables, text, illustrations, b/w photos, Index. NOTE: Name in pen to front endpaper and titlepage. Condition:Illustrated cloth-bound hardcover with title to spine & front cover, curved corners as published, , STRAIGHT, TIGHT and CLEAN in GOOD CONDITION with a name to the frontcover & to the title page where "Issued To:" is filled in, pages from p93 are clipped. Description: Range of Sizes : Bolts 6 BA to 1 1/2" Nuts - 3/16" to 2" Rivets 3/16" to 1 1/2 " Specifications, engineering figures, dimensions, etc of all available components. Description: warranty is filled in, dated 1982, Nilrust Warrany also included, deliver certificate not completed, all service stubs are remaining but services have been carried out until 1986 which is 66 months or 110,000 kilometres. Condition:Large worn but intact card-bound softcover with cloth-bound spine, title to frontcover, STRAIGHT & TIGHT in GOOD MINUS CONDITION with rubbing and wear to edges & corners and a mild water stain at the base of the pages which are INTACT & ROBUST. Description: 82 pages of instructions,,,,,,,, Descriptions of controls & mechanism Operation and Operating suggestions Care, Maintenance & Lubrication. Adjustments and service information. 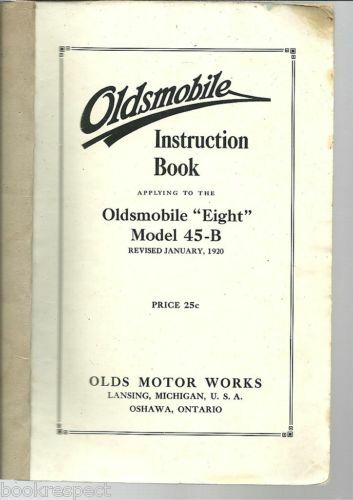 A 1920 original detailed service manual for the OLDSMOBILE "Eight"
Publisher: Robert Maxwell, London, 1969, First Edition, 172 pp., hardcover 8vo with dj, 25 chapters, 47 plate illustrations, Index. Condition:Crisp black cloth-bound hardcover with bright gilt title to spine, minor bump to LRH corner, STRAIGHT, TIGHT and CLEAN in GOOD CONDITION with no inscriptions, in an unclipped, GOOD MINUS DUSTJACKET with edgewear and rubbing & very occasional smudges. Description: Stuart Berridge was deputy Chief Engineer, Bridges on the North-West Frontier in India. He was over 17 years with British Railways. Firth of Forth. In this book he traces, in fascinating detail, the development of railway girder bridges in the UK. Condition:Illustrated softcover with ring binding spine, slight rubbing to spine & corners, CLEAN & TIGHT in GOOD CONDITION, no inscriptions. 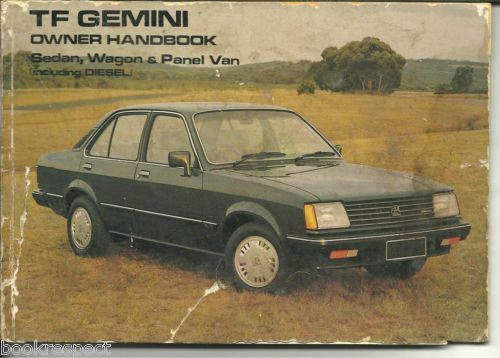 Description: The pages included in this Album are selections from the 400 pages in the Third James Flood Book of Early Motoring Featured vehicles in this album include: Packard (in colour and b/w), Daimlier (in sepia) and Austin (b/w), plus a variety of others.